These low retention filter pipette tips are engineered to dispense liquid in a precise and repeatable manner to ensure that you are measuring the exact amount of solution with each and every tip. Why use an Oxford Lab Product Filter Pipette Tip? What makes it a Low Retention Pipette Tip? Oxford Lab Products pride themselves in their high level of customer satisfaction garnered through their innovative and quality products. Oxford Lab Products Universal Pipette Tips are certified DNase, RNase, Human DNA, Pyrogen, and PCR inhibitor-free, ideally suited for highly sensitive materials and procedures such as PCR laboratory operations. The Pipette tips feature an innovative design, the universal pipette tips are built for adaptability and compatibility with a wide variety of pipettes from several different manufacturers. Built to have low force requirements for pipette tip loading and tip ejecting, these universal pipette tips are ergonomically designed to prevent injuries within the lab stemming from repeated movements and force. 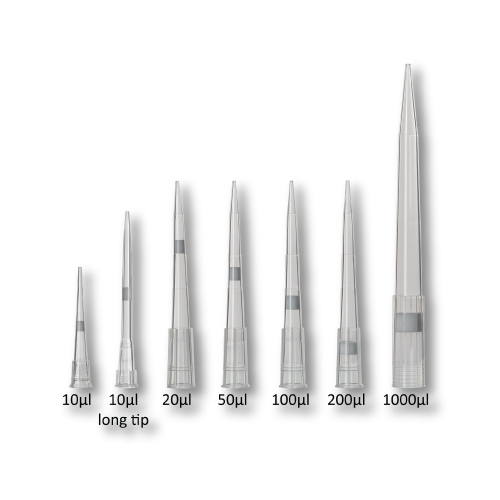 Featuring graduation marks on all tips to provide visual confirmation of volumes and minimize the risk of aspiration errors, these universal pipette tips from Oxford Lab Products. Oxford Lab Products features their Universal Pipette Tips which are produced in an automated, sterile environment under strict manufacturing regulations. The pipette tips are manufactured from high-quality, diamond finish moldings utilizing FDA approved, medical grade virgin polypropylene, these universal pipette tips provide high transparency to view aspirated liquids.